1951: Bill Johnson was born in Minnesota. 1952: Several families in Redding, California met in a private home with Assemblies of God pastor Robert Doherty. 1953: The group grew and moved to Eagles Hall on Yorba Street. 1954: The group continued to grow, moved to the Seventh Day Adventist Church and applied for incorporation with the Assemblies of God as Bethel Church. 1964: The Bechelli Lane property was acquired and the new facility was dedicated. 1966: Doherty was reassigned. Vic Trimmer, Kansas evangelist, was called. 1968: Trimmer was reassigned. Earl Johnson of Downey California was called. 1978: Johnson’s son, Bill, was called to Mountain Chapel in Weaverville, California. He accepted on condition that he remain under his father’s guidance. He became close to John Wimber of the Vineyard Church. 1982: Earl Johnson was reassigned. Val Munson was called to replace him. 1984: Ray and Rebecca Larson were called to replace Munson. The church grew to an estimated attendance of 2,000 and relocated to its present site (College View Road). 1996: Bill Johnson was called to replace the Larsons. He accepted on condition that the church’s focus would be on revival. Supernatural revival events began soon after, followed by departure of roughly half the congregation. Services were reduced in size. 1998: The School of Supernatural Ministry led by Kris Vallotton, senior assistant pastor, was founded. 2006: The congregation petitioned for release from the Assemblies of God. The petition was granted. 2008 (approximately): The church opened a second campus, with attendance estimated at 8,000. John Lepinski provides a useful synopsis of Bethel Redding (Lepinski 2010:31). What became Bethel Church began with a few families meeting in a private home with Assemblies of God pastor Robert Doherty. In the early, days Bethel followed the usual path of an Assemblies of God mission development. As the congregation grew, it moved into progressively larger facilities. In 1954, the nascent congregation asked the Assemblies of God for official membership. Acceptance was granted, and the church continued to develop. A decade later the group acquired property and dedicated its first facility. Two years later Pastor Doherty was reassigned by the Assemblies of God to administrative duties as assistant supervisor for the district. This was a very good start for a church plant in Northern California, but not exceptional in the church-going 1950s. Pastor Vic Trimmer, an evangelist from Kansas, replaced Doherty in 1968, and the church continued to grow. Two years later, Trimmer was reassigned and was replaced by Earl Johnson of Downey, California. Johnson, originally from Minnesota and from a family of pastors, brought his son Bill, then seventeen, who quickly became a youth minister for the church, becoming the fifth generation of ministers in the Johnson family. Earl Johnson and his family ministered at Bethel Church for fourteen years, an exceptional pastorate. After Earl Johnson was called to administrative work and retirement, the church was led first by Val Munson and then by Ray and Rebecca Larson. They must have been successful pastors: By 1984 the church had grown to a weekly attendance estimated at 2,000 and moved into its present facility. In any case, both Munson and the Larsons continued on to successful evangelistic careers. Bethel Church, as it is known today, formally came into existence when it called Bill and Beni Johnson to return. [Image at right] Bill Johnson had made it a condition of his call that Bethel would commit to a permanent focus on revival. While at Mountain Chapel, Bill Johnson had come into contact with John Wimber of Vineyard Churches and appears to have been strongly influenced by him. Johnson had also had contacts with the Toronto revival organization, including its leader John Arnott. Both of these organizations were (and still are) known partly for supernatural happenings (Johnson 2015:2). Supernatural events began soon after Johnson’s arrival, and roughly half the congregation departed. The departures cut church activities, reducing Sunday services from two to one. Despite the setback, Johnson persevered, and the congregation soon began to grow again. The emphasis on supernatural events, or “signs and wonders,” continued and two years later, the church began a School of Supernatural Ministry. Johnson began networking with other churches first in the U.S. and then abroad (especially in the U.K.), helping to promote and develop more supernatural ministries. By 2006, the emphasis on the supernatural and the networking, frequently across denominational lines, convinced Johnson and his congregation that their call was sufficiently different than that of the Assemblies of God that the church petitioned for release from that denomination. Their request was granted. As a nondenominational church, Bethel has continued to grow and to emphasize networking. By 2008, the church had an estimated attendance of 8,000 and opened another campus (Winters 2010:1). 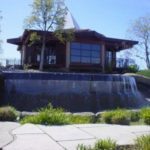 Bethel Church in Redding, California, at least since 1996, has been a highly charismatic Christian church, firmly located within the New Apostolic Reformation (NAR), the Word of Faith movement, the “signs and wonders” tradition, and Dominion theology. It strongly emphasizes the supernatural aspects of these positions (Silva 2013:2). The NAR is a movement that contends that apostles and prophets are being restored to the church and they will lead the church to victory. The key figure in this movement is C. Peter Wagner, former Fuller Seminary professor and leader of the Global Harvest Ministries, which he named. Bill Johnson is considered an Apostle (Winters 2010; Boyd 2010). The Word of Faith movement is sometimes referred to as “name it and claim it,” but the emphasis (at least at Bethel) is more on the accomplishment of strong faith (Garcia 2013:1-3). The “signs and wonders” movement asserts that the gospel is most effectively brought to unbelievers when accompanied by supernatural “signs.” This movement is often identified with John Wimber of the Vineyard Churches, as well as the Toronto Airport Revival. The approach is usually also related to an emphasis on extra-biblical revelation and prophecy (Garcia 2013:1-3; Johnson n.d.:2). Dominionism proposes that God (through Adam’s sin) lost control of the Earth, which will be brought back under God’s control through a great end-times revival led by an “Elijah generation of overcomers.” This generation will have Christ-like powers and will take control of key elements of society, preparing the world for Jesus’ second coming. However, Bethel also believes that mankind was born good, not evil. Some observers have suggested that these views may be in conflict (Garcia 2013:6-8; Lighthouse Trails 2914:6; Boyd 2014: 6). The church does not display a traditional statement of beliefs on its web page, but it is generally understood to accept most of the conventional Christian beliefs, such as baptism, faith in the Bible, and salvation, though hostile sources contend that the Bible is devalued. The “what we believe” Internet page has continued to carry the Assemblies of God statement of beliefs (Bethel Church n.d.). Other published beliefs include the mottos “We love, we make disciples” and “Christians minister supernaturally.” Probably the most frequently used motto is “on earth as in Heaven,” which echoes “the Holy Spirit is our ultimate guide” (Bethel Church n.d.). The church supports the “Passion” translation of the Bible by Dr. Brian Simmons, an extensive project to translate the Bible using NAR vocabulary. The church also emphasizes extra-biblical revelation and prophecy (Boyd 2015:12). A distinctive belief held by Johnson is that Jesus was emptied of divinity while on earth, and so His miraculous powers were due entirely to his relationship with God. It follows that miraculous powers are available to any human being in a right relationship with God. But Johnson also asserts that “the redemptive work of Christ provides freedom from sickness” (Lanigan 2014:5; Garcia 2013:3, 6). In addition, Johnson states that “everything we do either fuels revival or is fueled by revival.” Johnson defines Bethel Redding as “a church where supernatural encounters with God happen regularly, miracles are common, and the congregation has an infectious passion for spiritual growth” (Empowered by Christ n.d.;2). The supernatural phenomena supported by the church and its School of Supernatural Ministry include dedicated “dead raising teams” (which have been known to practice in a morgue); soaking (laying on the grave in order to transfer the dead person’s anointing); a holy relic museum aimed at the same purpose; and ”contemplative prayer,” described as being indistinguishable from Eastern meditation (Silva 2013b:5; Lanigan 2014:3-11; Boyd 2015:1-2). Bethel Church in Redding, California has a number of rituals and practices in several venues, but the primary ones are the weekly worship services. There are seven services on Sunday, four at the College View campus and three at the Twin View campus. There is also a Friday evening service at the College View campus (Lepinski 2010:332). These services follow a pattern similar to a number of churches aimed at young people. Lights are quite dim. The service is very informal in both setting and dress for worship leaders as well as worshipers. The language is contemporary and includes vocabulary not acceptable in some other churches (Winters 2010:3; Lepinski 2010:91). The service begins with about an hour of “worship,” that is, music and singing led by a band and vocalist using mostly original music. Bethel has its own music label, and the distinctive (and repetitive) music emphasizes emotion rather than content. Bethel also has its own media company and uses supporting media very extensively. Screens show music lyrics and videos throughout most of the service. Observers have told of apparently supernatural events during this time, including an observable cloud above the altar (Bethel calls it the “glory cloud”), gold dust falling over the congregation, and feathers falling (“angel feathers”). Bethel regards these as indications of God’s presence (Garcia 2013:6; Winters 2010:6-7). Congregational responses include painting, dancing (sometimes with flags), speaking in tongues, falling down (slain in the spirit), laughing, convulsing, jerking, shaking, and other displays of emotional reaction. [Image at right] Bethel has said that, “we worship with extravagant joy and thanksgiving.” Worshippers, rather than church leaders, determine acceptable forms of response (Winters 2010: 3; Garcia 2013:2; Silva 2013:1). Johnson’s wife “Beni” is known for using a special tuning fork and a cry of “wakie-wakie” in order to “awaken the angels” (Garcia 2015:2). Following that hour, an offering is collected, and there is a “word” from a worship leader that may include reading of scripture. This “word” (sermon) is equally informal and delivered in a calm, matter of fact way. Additional comments may come from any of the worship leaders (musicians) (A Socialspirituality 2013:4). In some cases, the service concludes with the “Fire Tunnel,” a gauntlet of worshippers lined up for a laying-on-of-hands for healing and conversion. In addition to the weekly services, Bethel has a number other ministries. These include the School of Supernatural Ministry led by Chris Vallotton, a Christian day school for pre-K through eighth grade, and the School of Worship. There are also a variety of small groups and classes, a bookstore, coffee shop, and mission gr2oups (“Rooftops and Rafters” 2013; School of Supernatural Ministry). Soaking prayer involves sitting or lying down, sometimes with a candle, clearing the mind of all other thoughts. The adherents then repeats short prayers until they recognize some manifestation of God’s presence (such as a breeze, tingling skin, or a sense of warm or cold); they then soak in that presence (Boyd 2015:15). Kundalini is an Eastern mystical concept involving the release of energy and altered consciousness sought in yoga. It has been part of the classical awakening of yoga for centuries, but its employment within Christianity and Western settings dates largely from the 1970s (“Rooftops and Rafters” 2013; Kundalini). leadership teams: a Senior Team and a Core Leadership Team, with some overlap between the teams. Twenty-seven individuals are on these two teams. There are also seven couples identified as Elders who appear to be somewhat older volunteers. In addition, there are teachers, musicians, media professionals and nonprofessional staff. The average age of the two leadership teams appears to be late thirties and forties, with a sprinkling of leaders who are significantly older (Bethel Church website n.d.). Bill Johnson is descended from a long line of pastors. His great-great grandfather was a credentialed minister of the Swedish Mission Covenant Church in Northwestern Minnesota, where Bill was born. Later generations were called to the Assemblies of God (Earl Johnson 2006). 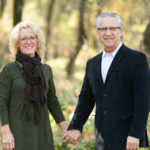 Kris Vallotton and his wife Kathy are listed as senior assistant pastors of Bethel Church. Kris has been an associate of Bill Johnson for over thirty years. Together with Johnson, Vallotton founded The School of Supernatural Ministry. He is also known as a strong supporter of the Elija Generation or Joel’s Army concept as well as the dominionist and spiritual warfare beliefs associated with that concept. Based on the number of oppositional internet sites, it would appear that Bethel Church has almost as many critics as it has members. This criticism may be understandable since its most unorthodox beliefs appear to be either revivals of beliefs declared heresy by church councils in the second century or are transplants from Eastern or New-Age and mystical practices. Other criticism reflects the church’s success, being thinly veiled accusations of “sheep stealing” (efforts made by one church to attract the members of other churches) (Rooftops and Rafters 2013; Boyd 2013:233). Probably the single most common criticism is that Bethel Church diminishes the role of the Bible in its beliefs and rituals. It is certainly true that leaders of the church depend to an extraordinary degree on prophecy and extra biblical revelation in their proclamations, and it is also true that the church sometimes uses the Passion translation of the Bible, a version that differs somewhat from more common translations and is specifically intended to use the vocabulary and emphases of churches belonging to the New Apostolic Reformation. Such practices skirt very close to Gnosticism in their dependence on secret or esoteric knowledge (Boyd 2013:233; Garcia 2015:3). Closely related to this criticism are those that question specific practices, charging that those practices have no basis in the Bible. A wide range of practices have been criticized, primarily those that are seen as being actions of God generally or of the Holy Spirit specifically. Examples include emotional responses in worship such as speaking in tongues, laughing, making animal sounds and falling down (“slain in the Spirit”), quaking, jerking and similar behavior, as well as such manifestations as “glory clouds,” falling gold dust and falling “angel feathers,” even though a number of these practices are in use in some of the churches leveling the criticism (Winters 2010b). Another area of criticism involves practices intended to encourage a supernatural closeness with God, including some borrowed from New Age mystical practice. Sozo; Kundalini; efforts to “awaken Angels” (such as tuning forks, proclaiming “wakey wakey” and blowing the shofar); soaking prayer; and attempts to transfer the anointing of the dead have all been condemned as belonging to Eastern and New-Age (non-Christian) beliefs (Garcia 2015). The search for an individual supernatural experience of God is clearly a revival of Montaniasm, the second century belief system condemmed as heresy at the time (Roger 1999). Other practices, such as teams devoted to raising the dead, and the “fire tunnels” have been specifically criticized as lacking Christian or Biblical basis, although the differences between faith healing and faith raising the dead is not completely clear. Likewise, the fire–tunnel approach may be somewhat unconventional, but is not different in substance from the practices of many revival services (Garcia 2015). Another body of criticism involves Bill Johnson’s revival of adoptionism. Adoptionism was a first century belief that Jesus was not originally divine, but was adopted by God on the basis of His faithful following of God even into death. At the time, this contrasted with a belief that Jesus was always divine and only appeared to be human. In Bill Johnson’s Christology, Jesus discarded his divinity while on earth and performed miracles solely on the basis of his relationship with God. According to this line of thinking, it follows that any person in a right relationship with God should be capable of performing miracles (“Adoptionism” 2016). Other critics, noting Bethel Church’s contention that strong belief should provide healing and health, have pointed out that both Bill and Beni Johnson wear glasses and have turned to conventional medical practice for treatment of other health problems. Image #1: Photograph of Bill and Beni Johnson. Image #2: Photograph of a worship service at Bethel Church. Image #3: Photograph of Alabaster Prayer House. Image #4: Reproduction of the Bethel Church logo. “Adoptionism.” 2016. New World Encyclopedia. Accessed from www.newworldencyclopedia.org/entry/Adoptionism on 12 April 2015. A.G,H. “Kundalini.”n.d. Accessed from https://www.themistica.com/mysticalarticles/k/kundalini.html on January 26, 2016. “Bill Johnson/Bethel Church, Redding, California.” n.d. Apologetics Index. Accessed from http://www.apologeticsindex.org1399-bill-johnson on 30 September 2015. “Bethel Church: An Observational Narrative on Spirituality in Redding, California.” 2013. Asocialspirituality. Accessed from http://asocialspirituality.wordpress.com/2013/01/22/bethel-church-an-observatioal-notes-on-redding-california/ on 23 September 2015. Bethel Church website. 2017. “Services.” Accessed from http://bethelredding.com/weekends on 14 September 14, 2015. Bethel Church website. 2017. “What WE Believe.” Accessed from http://bethel.org/about/ on 23 February 2015. Boyd, Sara. 2015. “The New Apostolic Reformation, Part 3, The influence of Bethel Church in Redding CA.” Accessed from http://saraboyd.org on 12 November 2015. Garcia, Holly S. 2015. “Bill Johnson, Jesus Culture and Bethel Church.” Accessed from https://shepherdguardian.wordpress.com/2013/09/05/heresy-alert on 30 September 2015. Johnson, Beni website. n.d. Joy the pulse of heaven. Accessed from https://www.google.cal#g=benij.org/heaven&gws_cd=cr on 13 November 2015. Johnson, Bill. 2015. “Childhood.” Accessed from http://bjm.org/bill on 29 September 2015. Johnson, Bill. 2006. “Bethel and the Assemblies of God.” Accessed from http://www.ibethel.org/churchlife/index.php?f=letter.html on 3 May 2015. Johnson, Bill. n.d.a. “Empowered By Christ.” Accessed from http://www.empoweredbychrist.org/bill-johnson.html on 16 November 2015. Johnson, Bil. n.d.b. “On Earth as it is in Heaven.” Accessed from http://www.ibethel.org on 13 November2015. Johnson, M. Earl. 2000. “A Godly Heritage.” Assemblies of God Heritage, p. 26. Accessed from http://ifphc.org/pdf/Heritage/2013.pdf on 19 November 2015. Johnson, Phil. 2013. “Is There a Baby in the Charismatic Bathwater?” Accessed from www.qty.org./resources/sermons/4/A/16 on 15 November2015. Lanigan, Jon. 2014.”The New Age Propensities of Bethel Church’s Bill Johnson.” Accessed from http://lighthousetrailsresearch.com/blog/?p=1550 on 15 November 2015. Lepinski, John Paul. 2010. “Engaging Postmoderns in Worship: A Study of Effective Techniques and Methods Utilized by Two Growing churches in Northern California.” Ph.D. Dissertation and Projects, Paper 332. Liberty University. Accessed from http://digitalcommons.liberty.edu/doctoral/332/ on 4 November 2015. Rooftops and Rafters. 2013a. “Kundalini—the False Holy Spirit.” Accessed from https://rooftopsandrafters.wordpress.com/fire-tunnels-kundalini on 4 November 2015. Rooftops and Rafters. 2013b. “Mysticism & Symbolism.” Accessed from https://rooftopsandrafters.wordpress.com/ on 4 November 2015. Rooftops and Rafters. 2013c. “School of Supernatural Ministry.” Accessed from https://rooftopsandrafters.wordpress.com/school-of-supernatural-ministry on 4 November 4 2015. Rooftops and Rafters. 2013d. “SOZO (& Healing Rooms).” Accessed from https://rooftopsandrafters.wordpress.com/healing-rooms-sozo on 4 November 2015. Roger, Pierce, ed. 1999. “The Tertullian Project: The Montanists.” Accessed from www.tertullian.org/montanism.htm on 19 April 2016. Silva, Ken. 2013. “Jesus Culture–Of Bethel Church—And Practicing Raising The Dead.” Accessed from http://appraising.org/2013/01/03/jesus-culture-of-bethel-church on 30 November 2015. Winters, Amanda. 2010 (January 18). “Faith Healings, Dead Raising Teams Part of Bethel Experience.” Accessed from www.redding.com/news/faith-healings-dead-raising-teams-part-of-bethel-experience-ep-377152 on 4 November 2015. Winters, Amanda. 2010 (January 19). “Bethel’s ‘Signs and Wonders’ Include Angel Feathers, Gold Dust and Diamonds.” Accessed from www.redding.com/news/bethels-signs-and-wonders-include-angel-feathers-gold-dust-and-diamonds-ep on 4 November 2015.